The small alleys, the city lamps, the windows, the doors, the market, the bridges, to the structures all the way to the statues, the everywhere embracing attractions that feel like to no end and the overview of the entire Florence by Michelangelo’s statue. It’s no wonder why I begged to go back to Florence for my last few days in Italy. My third visit to Florence was all about exploring the city. And you know what they say … third time’s a charm. Not a doubt, Florence certainly is. I miss the snowy winter there. 😦 OH well, I AM grateful to have seen it. I second the motion. Hehe … In saying that Florence is a charm. 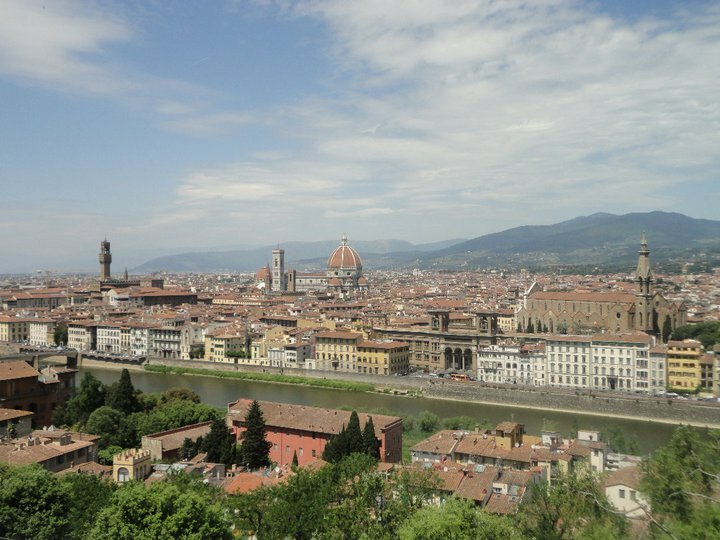 I have probably been to Florence 100 times. I never get tired of it. I’ve only been to one town in Italy (on a very cheap flight) but there is such charm and style, it’s instantly recognisable. Thanks for great photos again! How I wish I can visit this place, even just once in my lifetime 😀 Stunning scenery!